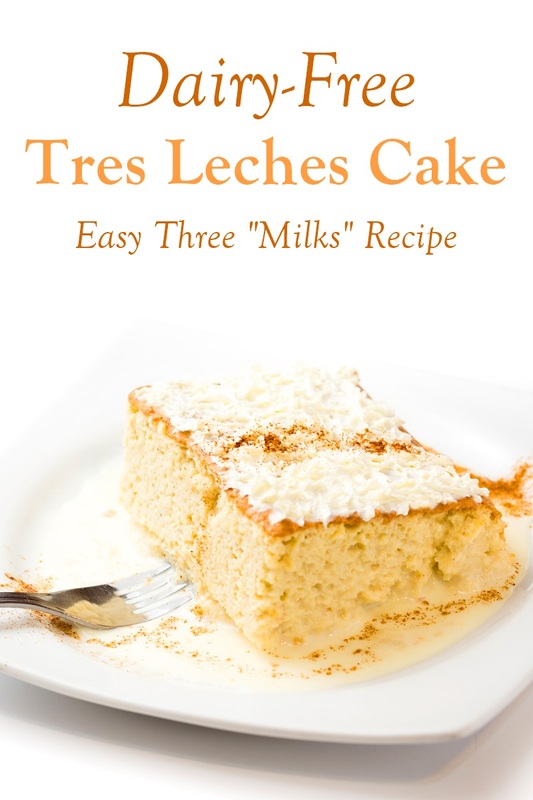 Tres Leches Cake is a spongecake soaked in three types of milk… Not exactly dairy-free friendly, but Almond Breeze shared this dairy-free Tres Leches that sounds beyond amazing! It’s a scrumptious, rich, and fruity dessert. By ingredients, this recipe is dairy-free / non-dairy, soy-free, peanut-free, and vegetarian. Optionally nut-free. Preheat oven to 350 degrees. Grease and flour a 9" x 13" pan. Start beating the egg whites at low speed, increasing the speed to high until soft peaks form. Add the sugar gradually, letting it dissolve well between each addition. Beat until stiff peaks form. Add the egg yolks to the whites, one-by-one, beating well after each addition. Mix the flour with the baking powder and salt and add to the egg mixture alternating with the dairy-free milk beverage. This must be done quickly or the batter will lose its lightness. Add the vanilla. Blend. Pour the batter into prepared pan and bake 25 - 30 minutes. Top will spring back when touched. Whisk ingredients together in a sauce pan. Bring to a boil, reduce heat, and simmer on low until the mixture thickens, approximately 10 - 12 minutes. 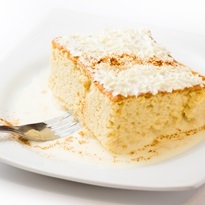 Remove from heat and pour topping evenly over warm sponge cake. 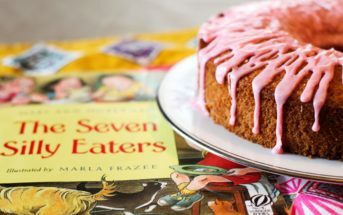 It is not necessary to poke holes in the cake, as the syrup will be absorbed by the sponge cake within 3 - 4 hours. Serve with assorted berries, rice or soy ice cream.